Eight-inch-square quilt blocks are a wonderful size for any project, from baby quilts to wall hangings to bed quilts. Why? Because they are (usually) constructed from patchwork pieces that are not too large and work perfectly with quilts of any scale. Below you'll find patterns for making your own quilt blocks and ideas for fun things to do with them. 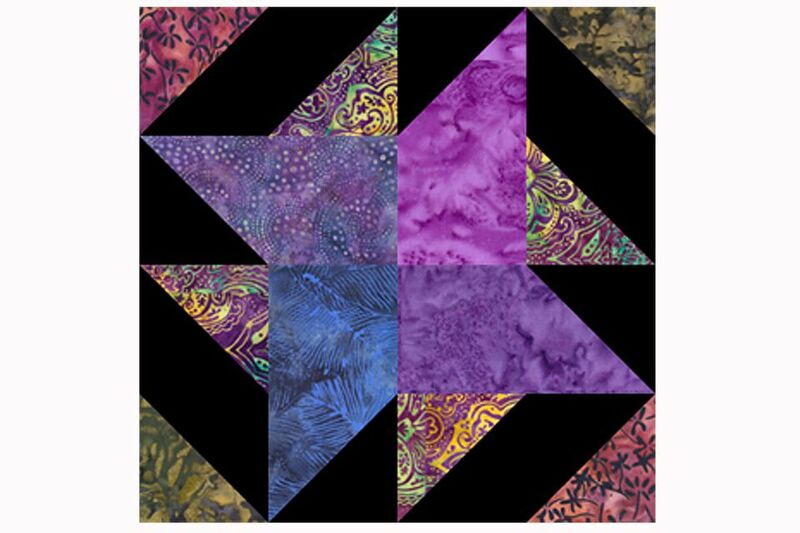 Many eight-inch quilt blocks are four patch designs that can be easily combined to create a sampler quilt. You don't need a specific sampler quilt layout pattern to sew a unique quilt -- simply try separating your blocks with sashing and cornerstones. If you prefer, omit the cornerstones and use plain sashing strips instead. Separating quilt blocks with sashing is a helpful technique to use when the patchwork in adjacent blocks doesn't meet up in a symmetrical way after the blocks are sewn together, something that can happen even if quilt blocks are the same size. Quilters often choose 8" square quilt blocks for block exchanges. Most quilters draw fabrics from their leftover stashes to make swap blocks and the patches in 8" blocks are usually small enough give quilters more variety in patch selection. A block exchange can be a fun event to plan with friends.